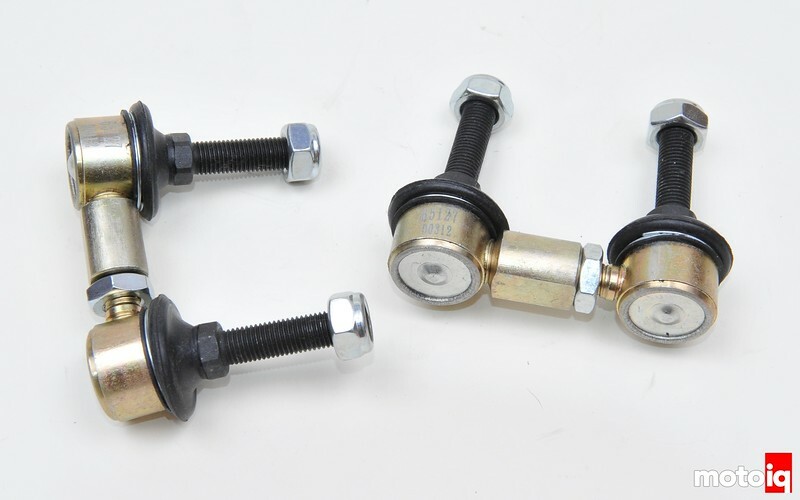 In the last installment of Project GD Subaru STI, we set about replacing our car’s worn out bushings, ball joints and tie rods with some trick stuff from Whiteline. We also reduced the anti geometry in our front suspension and raised our front roll center while making everything fully camber adjustable. For this edition we will finish off our suspension by adding some high performance KW Clubsport coilovers, some chassis reinforcement and some Advan wheels with sticky Falken 615K tires. 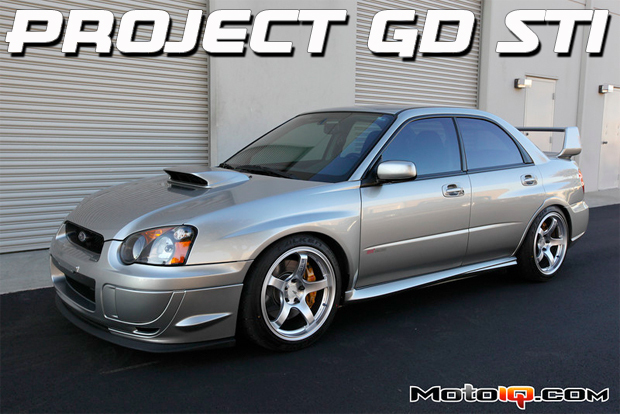 Read More about Project STI here! 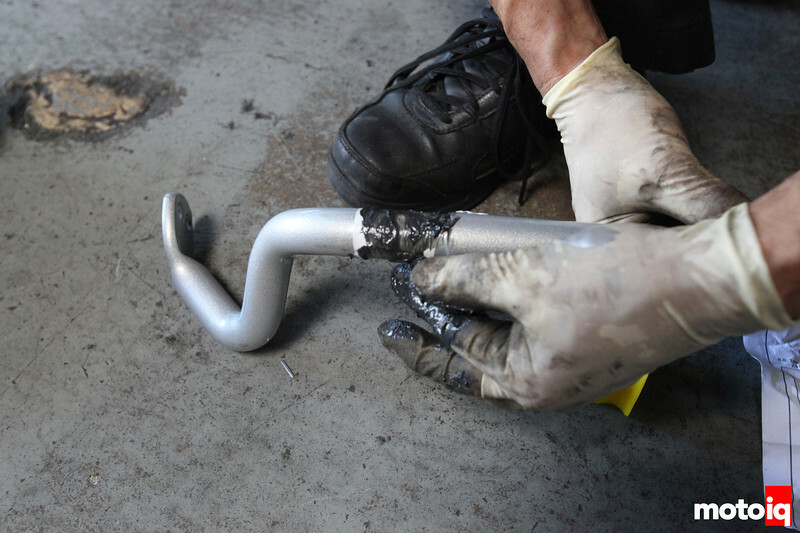 For swaybars we turned to Whiteline. Whiteline has put a lot of development into the GD and their product line has many different choices for bars ranging from non adjustable street bars to two different sizes of adjustable models. We opted for the large diameter 27mm adjustable Motorsports bars, the stiffest in the line up. The GD STI has bars with short ends so they are very effectively stiff. We are going to run stiff bars and relatively stiff springs for our daily driver STI. We also feel that adjustability is critical for any car that is going to be seriously driven. The front bar is 27mm in diameter and more that 2x the stiffness of stock. It has two adjustment points and stiff urethane center bushings. The bar has a nice powdercoated finish for rust resistance. To reduce stiction and eliminate the chance of the bar ever squeaking, we wrapped it with teflon tape in the area under where the bushings will be. A little moly grease over the tape and in the bushing will keep the bar smooth and quiet for a long time. 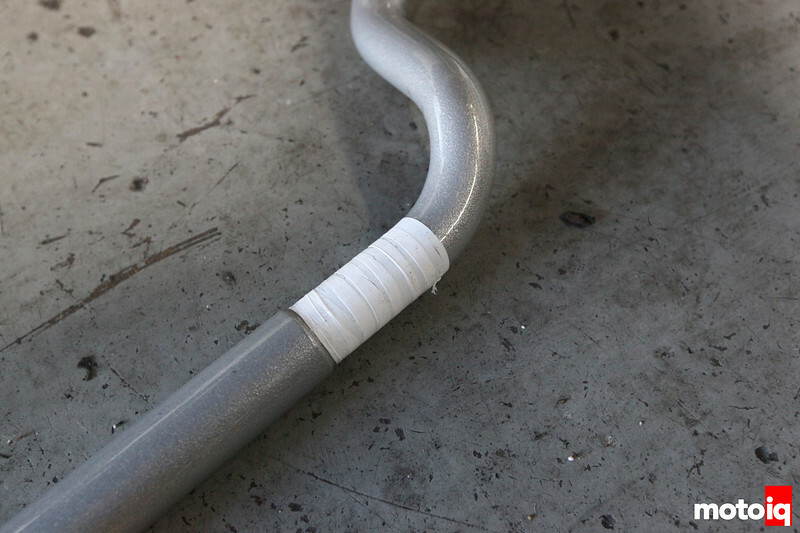 We opted to use Whiteline’s heavy duty end links. 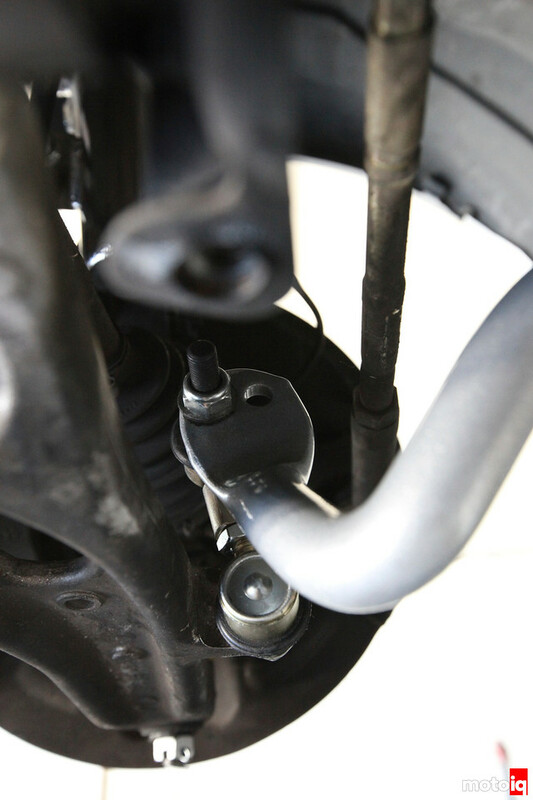 Whiteline makes several types of end links and we decided to use these parts instead of the heim jointed Motorsports parts because of the sealed ball joint ends. Our car is a daily driver and we think that these end links will fare better in daily all weather use. They are still length adjustable for corner weighting and to get the best angle from them when adjusting the link position on the bar. We set our front bar in the soft position. With limited space between the lower arm and the tie rod, it is hard to make the front bar more than two way adjustable. Project Miatabusa Part 16: What’s that noise?